A very enjoyable loop over mostly paved roads. 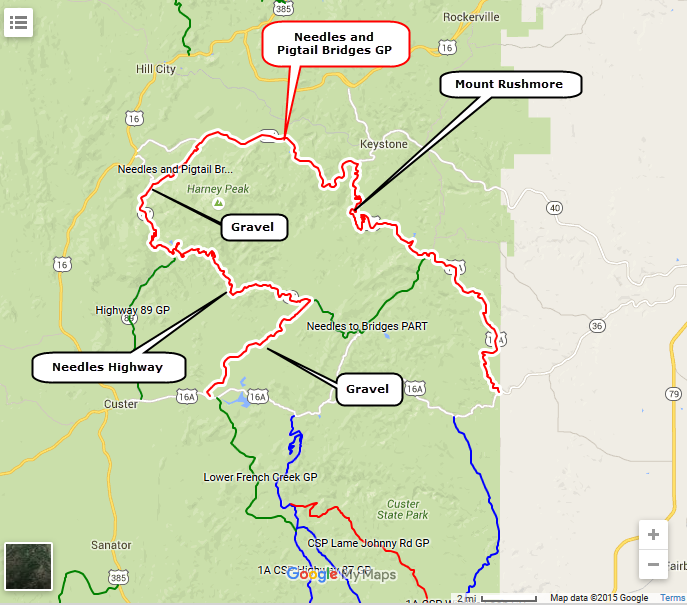 A couple interesting gravel roads thrown in for variety. 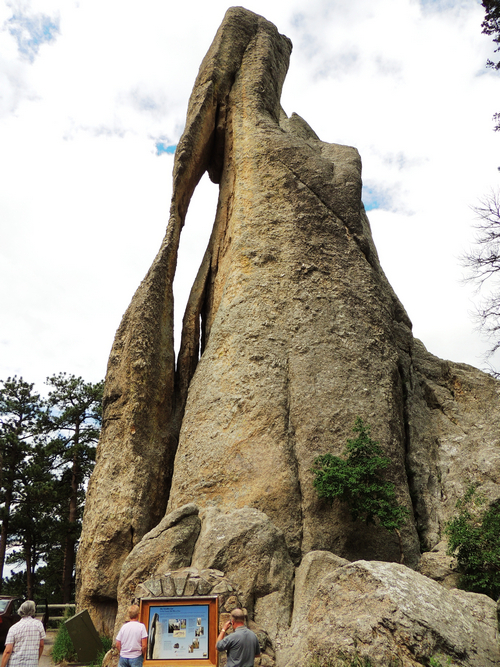 Needles Highway is primarily in Custer State Park and is named after Cathedral Needles. These were the original proposed location for what is now Mount Rushmore, but the granite was not solid enough. The Highway is a winding, narrow paved road with one tunnel 9' wide and another 8' 4" wide. Great scenery, including a formation called Eye Of the Needle. 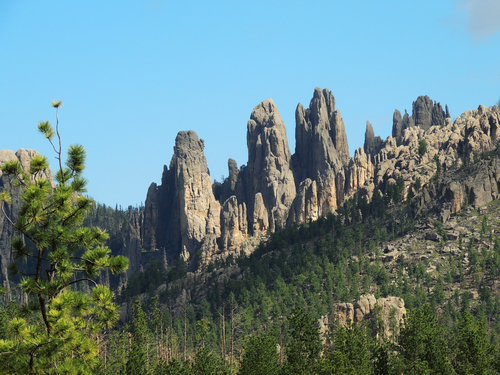 Iron Mountain Road goes from Mt Rushmore to US 16A. It also has tunnels, but they are not as narrow. 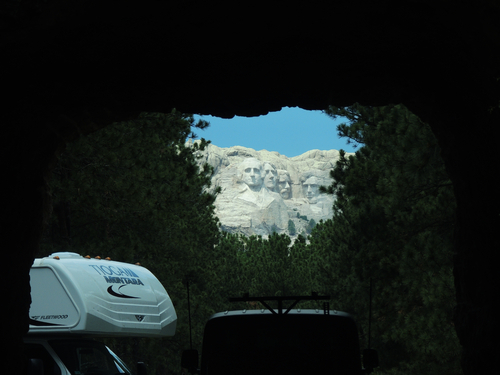 All 3 tunnels are aligned to frame Mt Rushmore as you look through them. The Pigtail Bridges are bridges that loop over their own road, allowing the road to climb rapidly. The center section of this track is simply one way to get between the two named attractions. There is a strange road design on the gravel portion.